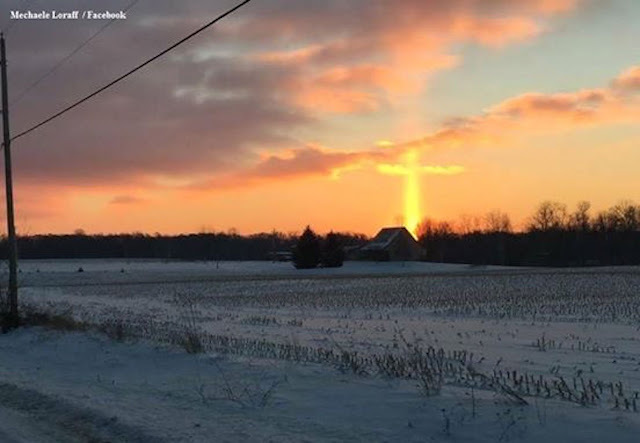 UFO SIGHTINGS DAILY: Giant Cross Lights Up Sky During Sunset Over Michigan, Jan 2016, Photos, UFO Sighting News. 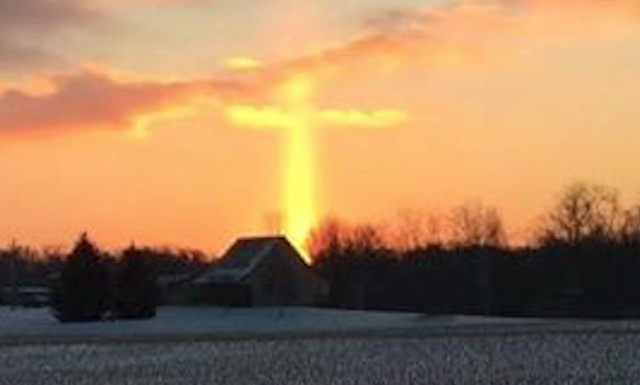 Giant Cross Lights Up Sky During Sunset Over Michigan, Jan 2016, Photos, UFO Sighting News. This cross could be sign from aliens to a family nearby that really needed an answer to their prayers. Perhaps an alien overheard it since they do use telepathy and tried to calm them with a sign they would recognize. (WCMH)–When she saw the sunrise, she knew she had to take a pictures of it. Now that photograph is going viral. Mechaele Loraffe of Buchanan, Michigan, said she was driving to work when she had to pullover to take a picture of the breathtaking sunrise. 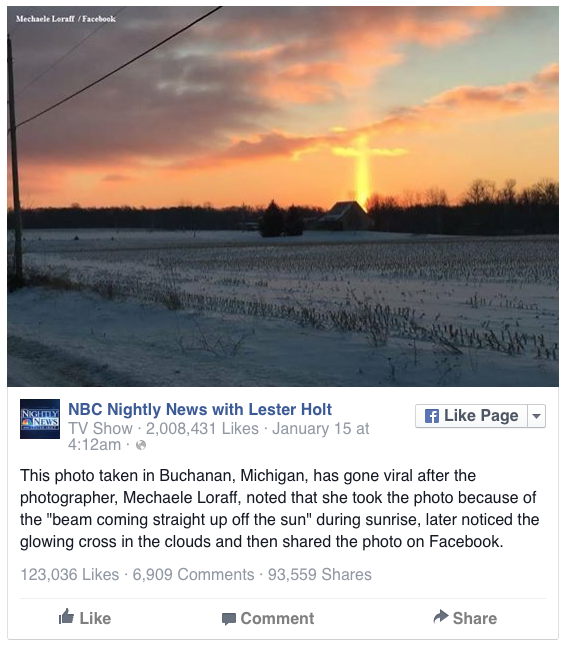 She shared the picture, which shows a cross on the horizon, with WSBT meteorologist Matt Rudkin. According to Loraffe, she didn’t notice the cross until after she took the photo.